Renowned for reliability and the ability to produce high quality coffee, the Calypso ensures that even those with the most basic of barista training can produce an excellent cup of coffee. This machine is the perfect choice for any large business, restaurant, bar or hotel lobby. The elegant, design of this coffee machine makes it instantly recognizable among coffee experts and aficionados around the world, and will accentuate a fine interior or become the centrepiece of your workplace. Everyone in your workplace can be a barista with dose programming done directly through the keypad. This machine is simple to use while still offering all modern coffee machine functions. 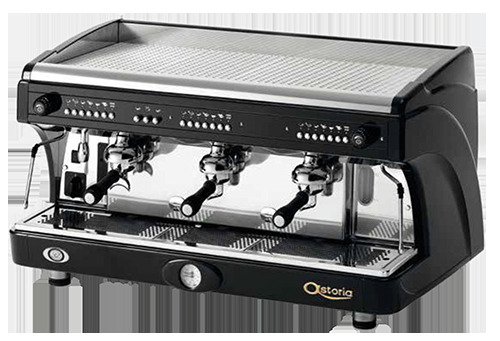 The Astoria Calypso guarantees excellent quality coffee in every cup by conjugating state of the art technology and pure style. Astoria Calypso not for you?